“To sell is human”. But I used to hate sales and sales guys; because their commitments to customers have caused me and my team spend days and nights in the office working like crazy. Now learning and doing sales myself, I understand the importance of this profession and what it is NOT about.And what sales guys in my previous organizations were missing in their approach. And what we need to improve as a team on the sales front at qilo. Read this book, if you are able to correlate with my challenges. Impact of your company culture on your sales. This book is not for: This book is not for people who are specifically looking for a manual or how-to guide on understanding and improving your sales process. 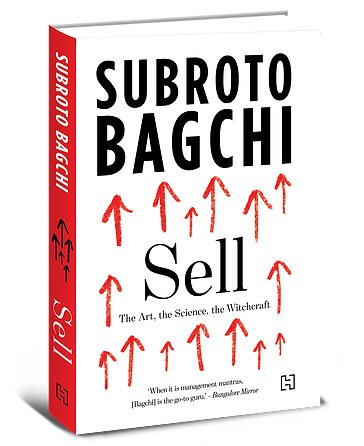 But then you only need nuggets from the master like Subroto to tell you what is going wrong in your sales process or what you are missing in your approach. Best sales people never give-up on follow-up’s & having conversations. And in you are an introvert like me and lacks the ability to have conversations, you will have a tough time initially in the sales job. Read a-lot on different topics, about your prospect and what’s happening in the world in general. And slowly you may learn the art of sales. Don’t take rejections at heart. You will get plenty of that in your sales life. Your funnel size decides your conversion rates. As a salesperson, you need to be good at understanding people and what makes them successful. The best line of the book is “The prospecting process has changed. Your future customers are already doing prospecting about you and your company“. Read the book to understand this in detail. There is a thin line between selling and helping the customer find a solution. The minute you sell, your prospect goes to the shell of not sharing their problems and challenges. People like to buy the things rather than being sold the things. Be yourself and don’t take yourself too seriously. Customers want to buy from people who are genuine and comfortable being themselves. The best read is when Subroto shares story “The Naked Burger” when he attended the Apple sales conference. I will buy this book again just to read this chapter. Never ever lose hope while making a deal. But you should have a strong belief in your product and its value, if you don’t have, don’t sell it. We may be living in a digital world with bots and AI, but people still buy from people. Simply quoting data and facts will not appeal to your customer. Humans are beings. Connect to a being to allow your customer to open up. Best line “Authenticity is in short; hence in demand”. Another gem in this book is this chapter “DO IT LIKE SWEDES”. It talks about how progressive companies around the world are embracing the different set of behaviours to influence their organizational culture. Customers want to buy products & services with a certain culture at its core. To build a successful profitable organization, it’s not enough to win few wars (customers). You have to do it for many years to come without excreting yourself. A successful salesperson learns to be effortless by planning well, choosing their turf wisely and prepare themselves to play a long game. There are only few books on B2B technology sales. And specifically from those who have done sales, and that too large deal sales. It’s definitely worth a read without much heavy weight jargon.